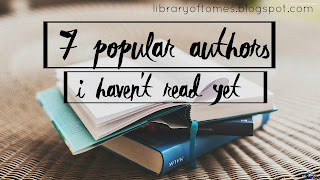 There are a ton of really popular authors that everyone has yet to read right? So I shouldn't feel so guilty about not reading them all right? I have this issue with reading popular books and authors because I tend to not be a huge fan of them. With this being said, I tend to avoid reading from these authors because I guess I'm both intimidated and uninterested in disappointment, even if I would have enjoyed the author's book. There are quite a few popular authors I've avoided or simply haven't gotten around to get, but here are a select few I've decided to share. Some of these are popular because of the book community and others are just general popular authors that non book lovers are familiar with. 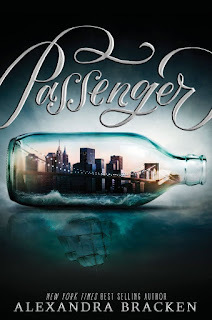 There are a few reasons I've stayed clear of Alexandra Bracken's books, it's not because I think ill of her as a person. I just have never been really drawn to her books. I'm not a huge fan of dystopia books, so her Darkest Minds trilogy never caught my attention. 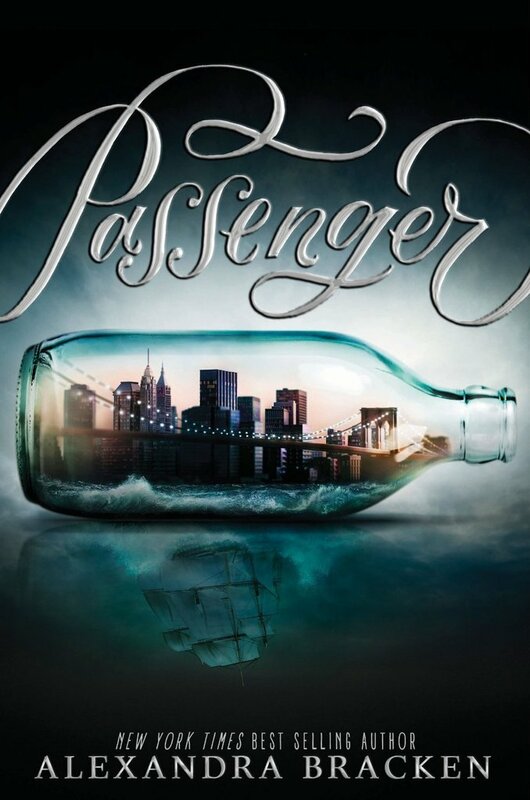 When she released Passenger I was kind of interested because of the time travel aspect, but my interest in reading that book has decreased dramatically since the waves of reviews praising and ripping it apart have been published. I am planning on buddy reading this book with a friend of mine, but I'm not sure how much I'm going to enjoy it. I'm really nervous going into one of the most hyped books of 2016. I've been meaning on picking up Shadow and Bone for the last forever, but I have never gotten a chance to actually do so. I've seen the book on Book Outlet more than once, but I've always been hesitant to put it in my cart. I think I'm just nervous to not enjoy the world Leigh Bardugo has created, but I also am afraid that I'll like it too much. Please just hear me out and don't hate me too much, okay? I've tried to read Stephen King's books so many times. 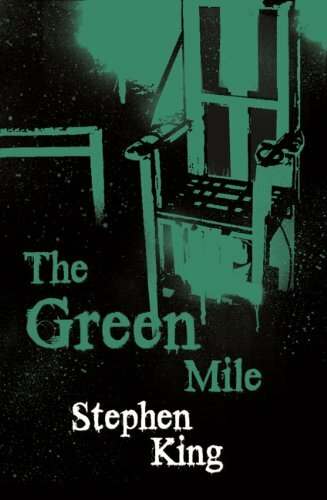 I've picked up Carrie, Christine, It, and The Green Mile. All of them I read 50 pages of and then put down. I don't know if it's that I don't like his writing style or if I just don't care enough about the plot or characters to keep going. I like the movies they are based off of, but I can't seem to embed myself in the story. This is an author that I'm really nervous about reading. 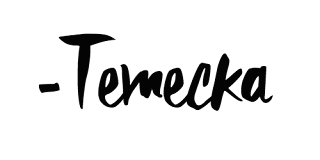 She writes high fantasy, and as someone who has noticed they are not too fond of high fantasy, I am very nervous about this author. I want to really love this series and Morgan Rhodes, but I'm so nervous about not enjoying it. 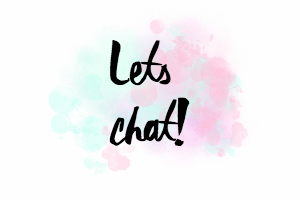 If any of your have read the Fallen Kingdoms series, could you let me know what you liked and disliked? I own the first book and hope that I can get to it soon! 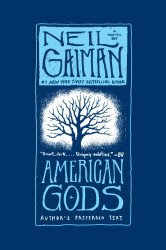 Another high fantasy author that I'm terrified I won't enjoy, but I desperately want to read. Here is my trend. 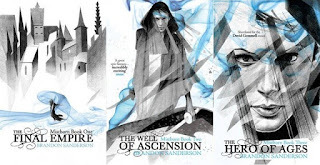 I want to read high fantasy & love it because I also adore the atmosphere for the worlds but there is always something that doesn't connect just right for me to love the book or series. I want to read Brandon Sanderson when I have finally developed a love for high fantasy, so I can give him a fair chance. 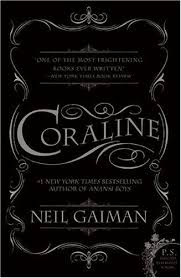 One of my first book community friends adores Neil Gaiman, and though I want to read one of his books on her recommendation, I can't seem to figure out where to start. My boyfriend adores American Gods, but part of me wants to to read Coraline first. If anyone knows what book I should start with, please let me know. Or if you have read either of these, and you just want to tell me which would be a better start, I'd be a very happy girl! This is another one of those really popular authors that I think that I've wanted to read, simply of because of how popular he is. 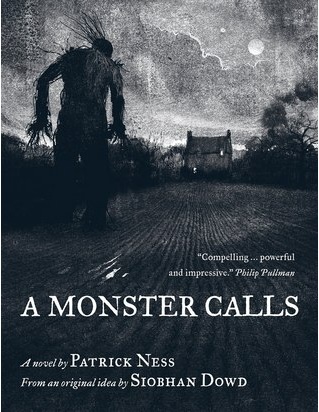 I have had my eye on A Monster Calls for a little over a year, but I have never actually gotten a copy to read it. It's not at my library, so my only option is to buy it. I'm not quite sure I'm ready to purchase it just yet. What popular author have you not read yet?